Beauty, healing, psychic powers and protection. Called Holy Herb, Yerba Santa is an essential ingredient in Caribbean protection and banishing incenses. When mixed with other ‘holy,’ ‘sacred’ or ‘blessed’ herbs it brings spiritual aid to the home. 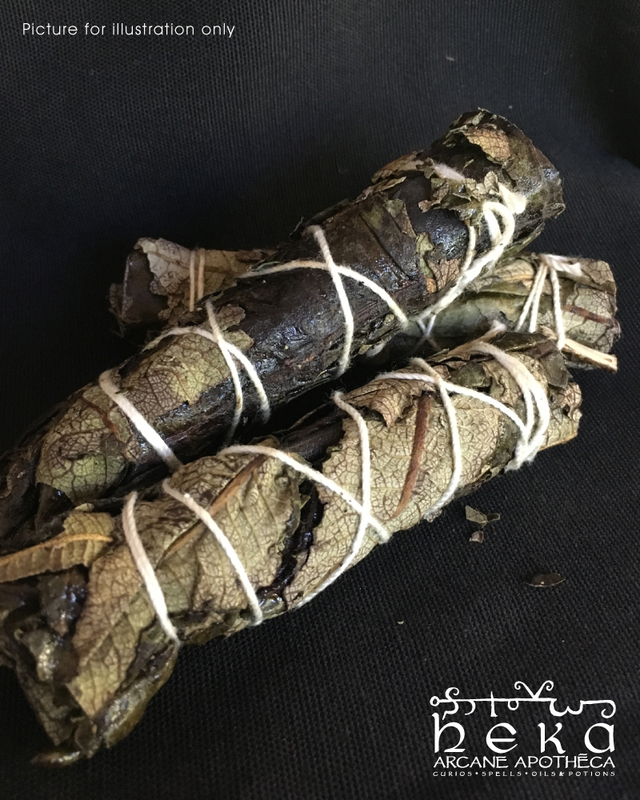 Use as a healing or protection incenses if you feel your problems are caused by a hex. Never leave your smoldering smudge stick unattended.